Low roof available (≤ 250 cm) without additional costs. 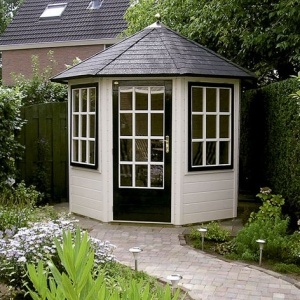 This summerhouse has a classic design. It has crossbar windows and doors which make it look like an English cottage. Your garden will get a complete makeover. 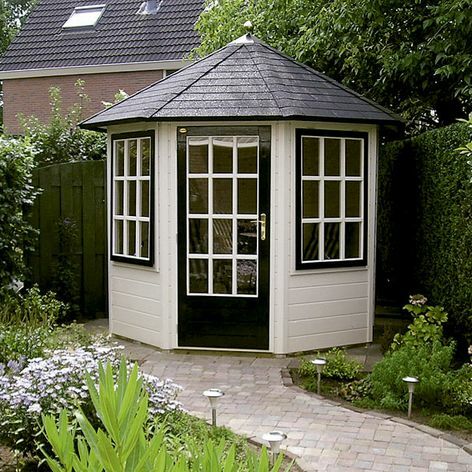 With a floor space of only 5 m², this round summerhouse will also fit in a smaller garden.